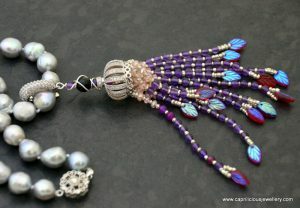 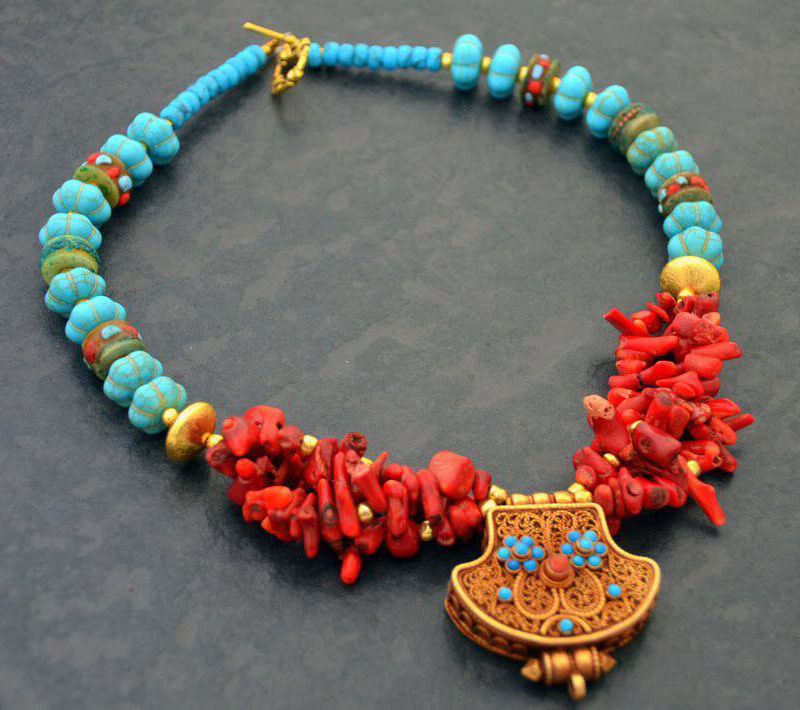 Neena Shilvock is an inspired jewellery designer living in Warwickshire. 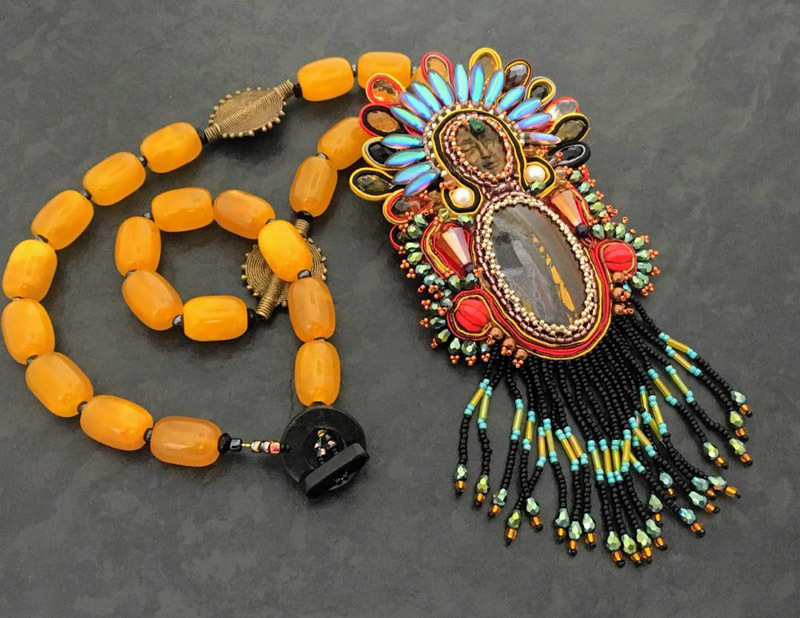 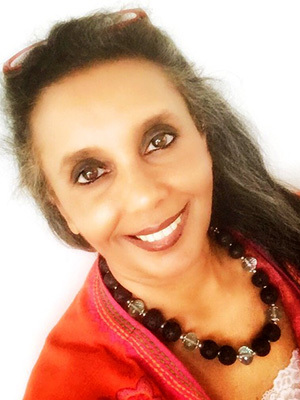 Her passion for creating fabulous contemporary costume jewellery is an all-consuming affair, when she is not working in her demanding day – job as an obstetrician and gynaecologist. 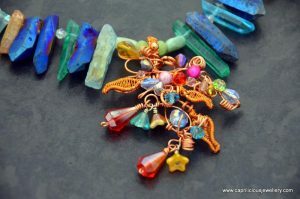 Neena has developed this “happy schizophrenic existence” over the years producing a range of the most unique and beautiful body ornaments to behold. She gleans the raw materials from an assortment of places, some from her trips back to India where she grew up. 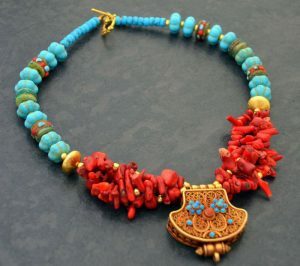 Neena works from her studios at home; Aladdin’s caves filled with a variety of artist’s tools and an assortment of gemstones, wire, clay, wood and exotic ornaments awaiting her imagination and skill. These exquisite hand-crafted pieces are sold all over the world to women with an eye for detail, and a taste for something rather different. 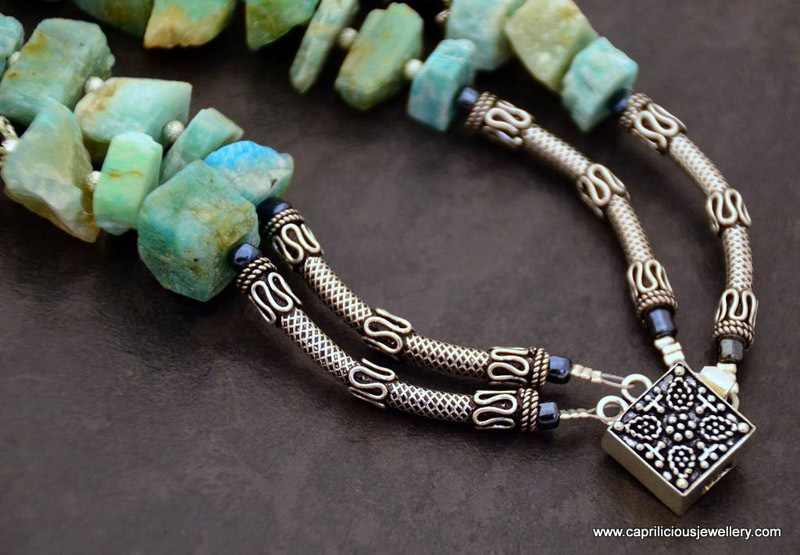 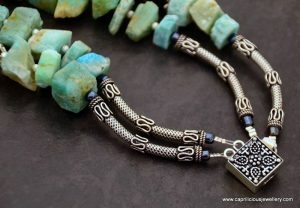 Neena’s Caprilicious Jewellery is designed for and inspired by creative, interesting and strong women who share her understanding of colour, shape and form or the intricate wire-work or stitchery. 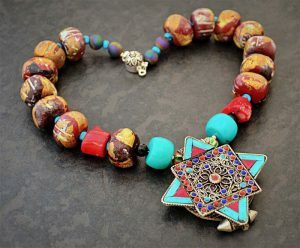 These statement pieces are truly works of Art for women with flare who enjoy the concept behind the combinations of raw silk with gemstones or wood with metal or the beauty of raw nuggets and druzy.